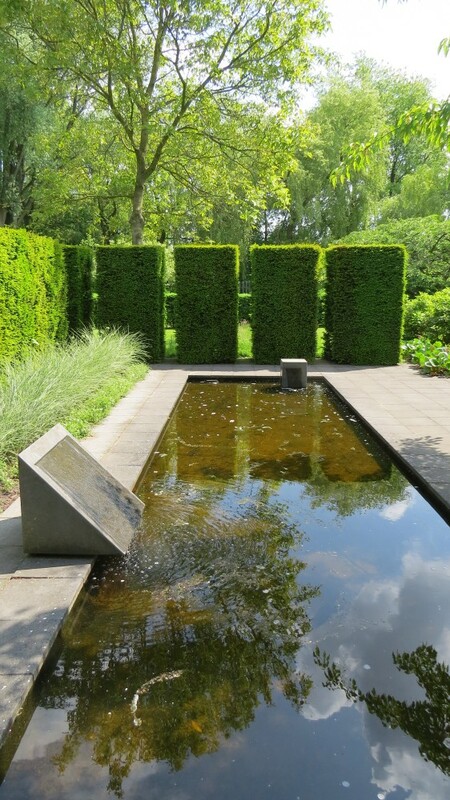 Whilst staying in Amsterdam at one of those late 17th century canal-side houses, I mentioned to my friends that I was going to see Mien Ruys’s garden at Overijssel the following day. Imagine my surprise when they said they thought their tiny garden was designed by her. I looked outside disbelievingly, but they rummaged around and found a small battered cardboard portfolio tied with a broad ribbon containing neatly folded drawings of alterations to the house and garden, carried out in the late 1960s. And there were Mien Ruys’s planting plans of their garden. 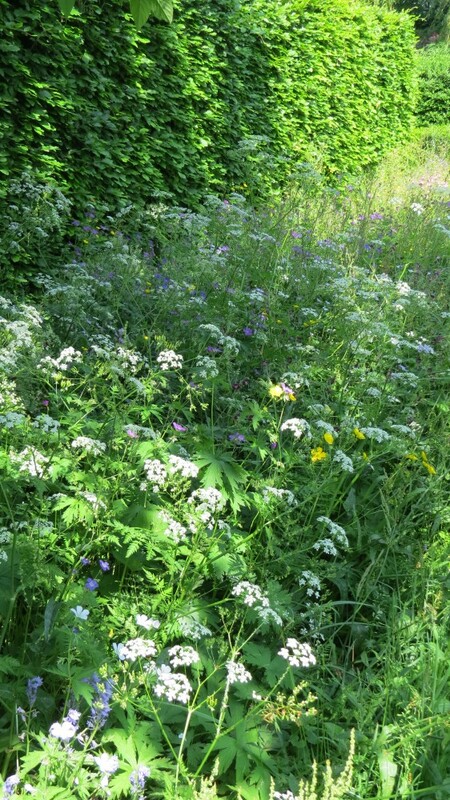 Little of the planting remains today, and I don’t think they will reinstate it, but for me it was an exciting few minutes scrutinising a great designer’s drawings, and working out what she was trying to achieve. Following the Second World War few people did more to break down the 1920s and 1930s elitism of gardening than Mien Ruys, whose strong socialist views led her to experiment with small ‘gardens for the people’. It helped that her husband was a publisher, and in addition to a series of books, in 1954 she started ‘Our Own Garden’, a very successful and creative quarterly gardening magazine, that gave her ideas wider circulation. Most gardeners will know of ‘Helenium Moerheim Beauty’, and her father, a friend of Gertrude Jekyll, founded the Moerheim Nursery in 1888; which by the early 20th century was one of the most notable in Europe. Her early gardens of the mid-1920s were much influenced by the principles of colour applied by Jekyll; but then Ruys went to Berlin, the hotbed of the Modern Movement, to study architecture. 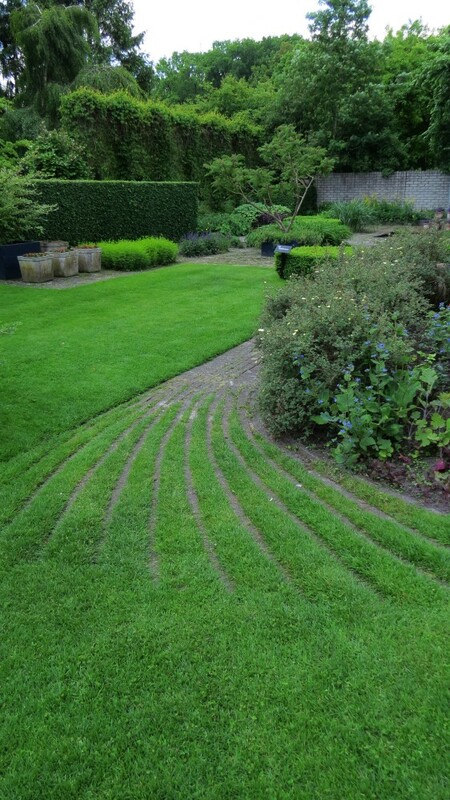 Returning to Holland she worked alongside Rietveld, before studying engineering, and becoming a landscape architect. 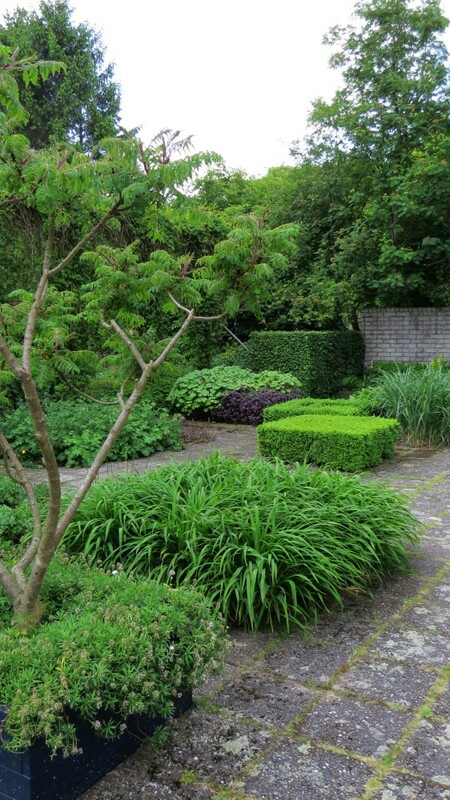 Hence, there was a 25 year gap between her early gardens and the later ones, which have a calm geometric and rectilinear simplicity, not unlike the asymmetry of Mondrian’s paintings; big blocks of planting, contrasted with the sharp geometry of clipped box and yew, sculpture and water. Like all gardeners and garden designers, her own garden (or rather the kitchen garden adjoining her father’s nursery), was a place of experimentation, particularly for block and companion planting in sun, shade, dryness and damp; and her experiments with architectural use of small space and of gardens without lawns have had a lasting influence. 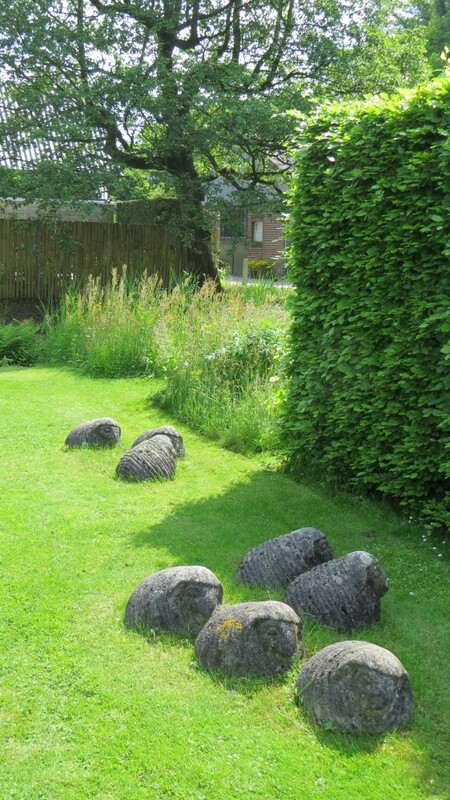 Following her pioneering work with concrete pavers faced with exposed gravel and pebble aggregate, she persuaded a concrete manufacturer to commence production; and she took the lead in introducing redundant railway sleepers into her gardens to provide changes of level. 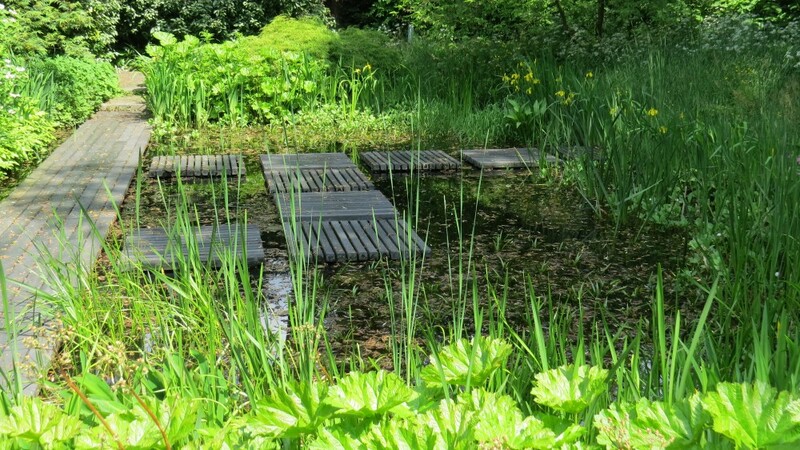 Her use of recycled plastic was ground-breaking, which because of its non-slip properties proved ideal for the slatted step pads across the her famously stylish Marsh Garden. 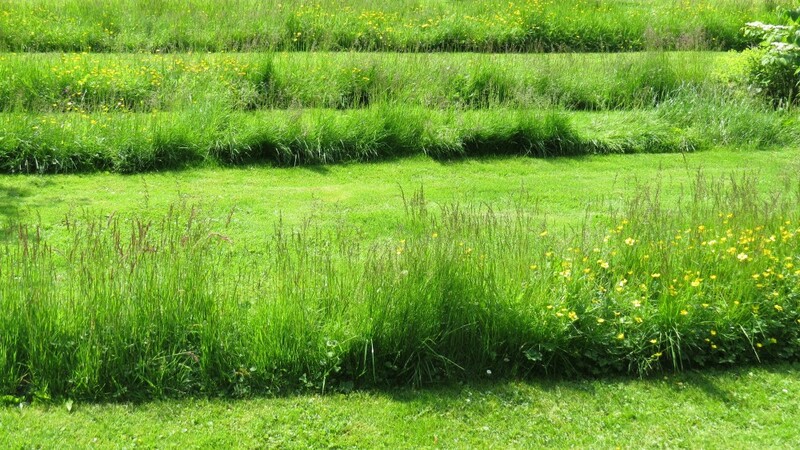 Not all of her experiments were successful; for example I found the grasses and bamboos isolated in circular beds with an adjacent rounded water basin looked contrived, whilst my disenchantment with concrete as a paving material spoilt my appreciation of some of the gardens. In contrast her juxtaposition of cut and rough grass, and experiments with native indigenous planting have a very modern feel. 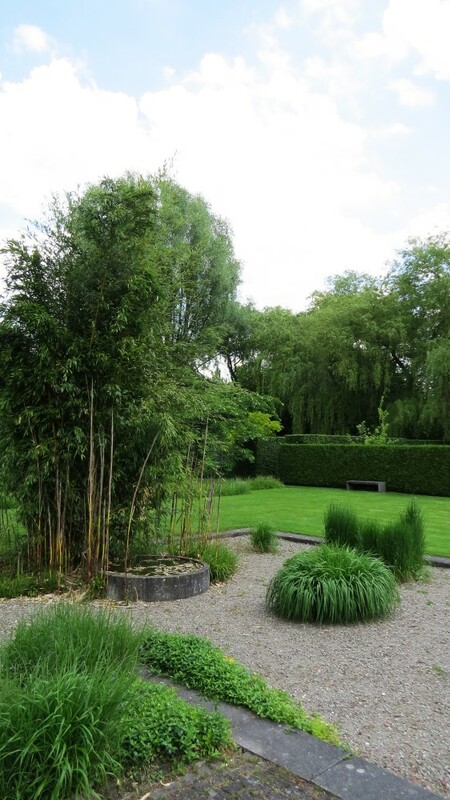 In all, at Overijssel, there are 25 small experimental gardens designed by her, mostly between 1960 and her death in 1999; but the Mien Ruys Garden Foundation continues to develop new areas, and renovate the older gardens. I found the gardens to be a fascinating walk through the history of contemporary garden design, and one with creative insights that still inspire us today.